Located in downtown St. Paul, across the Mississippi from the Ramsey County Courthouse, Sjoquist Law LLC focuses on the ever-expanding areas of civil litigation which includes all aspects of family law, elder and estate law, public interest, and real estate. 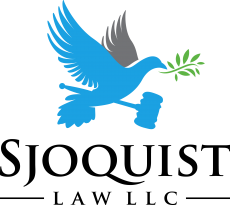 This work oftentimes involves championing issues of social justice by insisting on equality across the spectrum for all people regardless of their economic, cultural, or faith-based customs and beliefs, or affiliation in a protected class. There are many ways to resolve a dispute. Sometimes it is important to consider alternatives that allow you to have greater control over the outcome outside of the courtroom. Every case and every situation is as unique as the individuals themselves. While some clients need comprehensive representation, others need assistance negotiating a settlement, drafting an agreement, or representation at a one-time only hearing in state or tribal court. You can confidently rely on Sjoquist Law LLC to be there to guide you through whatever legal process is required to reach your goals. Hourly, flat fee or unbundled service agreements available. 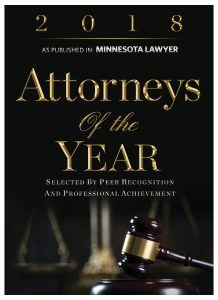 As one of Minnesota Lawyer’s Attorneys of the Year, Geri has worked as a legal professional for over 25 years. For example, in addition to her role as an attorney, she is a skilled Rule 114 qualified neutral and hearing officer. She has served as a community corrections officer, custody evaluator and is an experienced guardian ad litem. She mentors new attorneys and paralegals and currently assists the law students at Mitchell Hamline every weekend at their free legal clinic. She also has experience resolving many of the issues that arise in guardianships, estates and trusts. In and out of court, she has helped people resolve seemingly hopeless disputes. 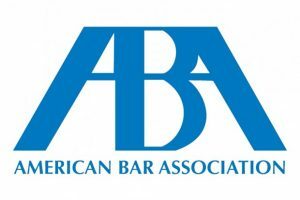 She is respected by her clients and her peers as someone who strives to achieve fair and equitable results. Geri also provides free estate planning services to first responders. 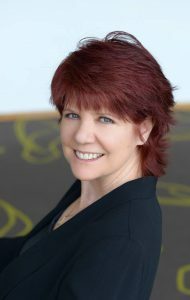 Geri also presented a few of her ideas and observations at the Family Law Institute on March 18, 2019 in a one-hour presentation titled, The Doctrine of Intentional Parenthood. The materials discussed equality in contrast to Minnesota’s current practice of ‘separate but equal’ treatment of our LGBTQ citizens. 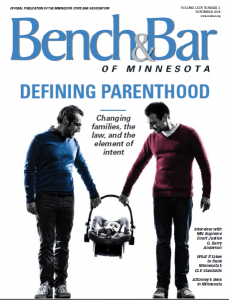 “The Doctrine of Intentional Parenthood” is also the title of an article Geri wrote that will be published in the American Bar Association’s Summer 2019 edition of the Family Law Quarterly.